Need a circuit board repair technician? Call 704-825-8918!!! Questions? "Serving you with your customers in mind." 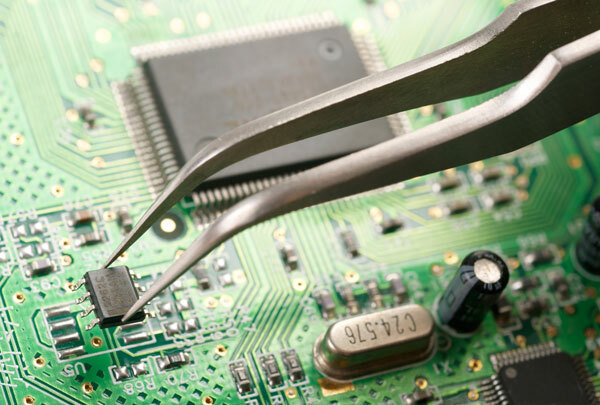 We are a leading circuit board repair facility with the ability to troubleshoot down to the component level. With our knowledge and experience, we can assure each item will be repaired sufficiently and timely, so that your business will remain operational. 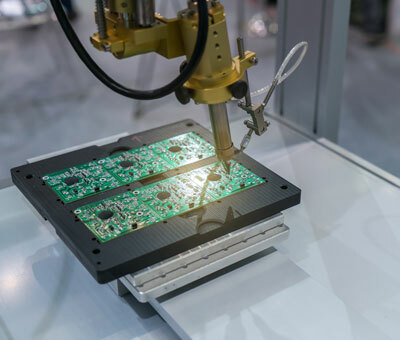 Electronic Tech's core business is rework and repair of printed circuit boards. We are continually learning and improving on one area of expertise, which results in greater efficiencies and increases our experiences. With our highly skilled technicians you will notice reduced cost and faster turnaround. Let us serve your business by handling all your printed circuit board repairs or rework needs. We provide great quality services at affordable rates. With a 1 year warranty on all repairs, you can call us with confidence knowing that we are here to make sure you and your customers are always satisfied. Contact our friendly sales representative today at (704) 825-8918. Need printed circuit board repairs? Need components re-work? Need units repaired the next day? Electronic assembly (PCBA) rework is what we do. This consists of de-soldering and re-soldering of surface-mounted electronic components (SMD). Our PCB repair technicians are among the best in the industry. Are you looking to outsource product warranty repairs? Electronic Tech is the right choice. We have over 35 years combined experience in the industry. Save on labor, cost, and overhead by outsourcing to the right experts. Are the components for your equipments obsolete? Can't find an aftermarket replacement? We can help! We use the latest advance technologies to reverse engineer and troubleshoot each obsolete unit. Are you an OEM looking for a partner to help with your repairs? Do you have nationwide distributors that need support? We work hard to keep OEM, distributors, and their customers fully operational. 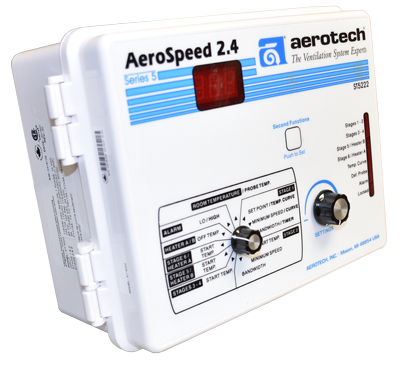 Our goal is to lower maintenance cost and limit down time. We are an OEM full service facility. Are you a commercial business or manufacturer that requires on-site repairs and/or troubleshooting? Our technicians are equipped to support most equipments onsite. Call us now if you have an emergency. Do you need professionals to assemble your units in a timely fashion? Electronic Tech can help in product assembly. Call us today for a free estimate. All repairs are backed by our 1 year warranty. 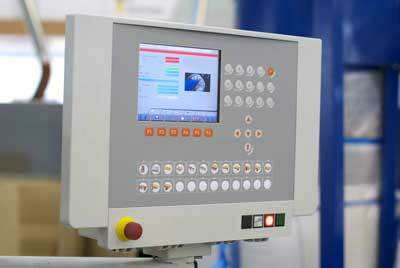 Today most manufacturers use an automated system utilizing CNC machines, press brakes, and advance automated technology with control panels and circuit boards. Electronic Tech can provide valuable services to ensure your equipment downtime is limited. Electronic Tech work hard to keep OEM, distributors, and their customers fully operational. Our goal is to lower maintenance costs and limit down time. We are an OEM full service facility. We work with poultry farmers across the nation to help keep them operational. We know that keeping livestock farming operational is what feeds a nation. We service most brands for commercial laundry equipments. Create an image of each printed circuit board on our software. Develop a schematic of the printed circuit board. Develop an in-circuit functional test of the IC (Integrated Circuit). Pin point the exact malfunction component. Remove the component using high quality standards & procedures. Replace defects with new OEM or premium quality component using high quality standards & procedures. Copyright 2017 Electronic Tech, Inc.